Freaks and ghouls, killers and crazies fill the Selbyville Library during last years’ Selbyville Haunted Library. Sure, there are some store-bought Halloween props, but much of the interior is hand-crafted. “You have to measure twice and cut once,” Kline said with a laugh. “In one of our scenes, there is something that will move on its own, and for that type of illusion,” she said, they tested various motors and garage-door openers before landing on a paddle-fan motor. Library staff wouldn’t reveal which horrors guests will meet on this guided tour. Kline said parents should use their discretion in determining if children can handle the scares. The event is recommended for those 7 or older. The Selbyville Haunted Library has been a tradition for 16 years. 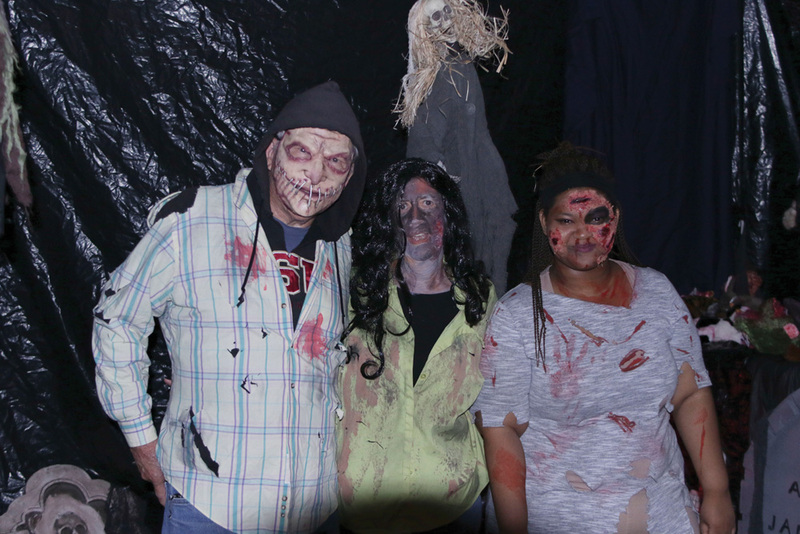 “It began … as something for Selbyville families to enjoy,” since haunted attractions can be expensive, Kline said. So everyone is welcome to this free, yet eerie, event. Kline thanked the event’s volunteer actors and staff; the Selbyville Police Department for sending an officer each year; and father-son team Scott and Josh Vickers, who led the creative design process. Volunteers started brainstorming in the summer. The attraction ends promptly at 8 p.m., so people should get in line early. Kids will get free candy or a toy at the end. The Selbyville Public Library will close for prep work on Saturday, Oct. 27, at 2 p.m. and will reopen in its normal guise on Nov. 1. The event is free and open to the public. Donations are accepted to defray costs. The Selbyville Public Library is located at Main and McCabe streets. Call (302) 436-8195 for more information.